Many health goals and resolutions require us to overhaul our regular routine completely, but this might be exactly why they fail. Changing too many things in your life at once is a great way to get overwhelmed and abandon the healthy habits you’ve set your mind on. Instead, start by making small tweaks to various areas of your life and building on these. The following health strategies are a great place to start, since they can be easily incorporated into your life. Your health efforts may go unnoticed if indoor air pollution is causing you fatigue, headaches, memory problems, and difficulty concentrating. Consider getting an air purifier to keep the air in your home free from harmful chemicals, smoke, mold spores, bacteria, and dust mite allergens. Air purifiers are especially important if you have pets, since these beloved animals introduce dander and outdoor allergens into our homes, triggering allergic reactions. Read through online guides, like those on HowToHome, to find the top air purifiers for your specific needs. Though air purifiers cannot remove 100 percent of all pollutants in your air, they can have an extremely positive impact on your health. Plus, cleaning up your air can relieve respiratory problems and make it easier for you to exercise! Smartphones give us instant access to our social media accounts all day, every day. Though social media connects us with others, it can actually contribute to mental health issues and make us feel lonely. Social media also takes a hit on our self-esteem as we’re bombarded by the achievements and good fortune of those around us. A recent study revealed that people who reduced their social media usage reported improved well-being as well as lower levels of depression and loneliness. If you must be a techie then download a meditation app or buy a fibit that schedules relaxation time better still schedule a yoga or meditation session at Creative Chakra Spa and turn your phone off! The Harvard Medical School stresses that certain diets, especially those high in refined sugars, can disrupt our normal brain functions and contribute to mood disorders like depression. People who consume diets high in vegetables, fish, and unprocessed grains have a reduced risk of depression than those who consume a Western diet that’s high in processed foods. Since it’s a lot of work to change your eating habits completely, just try to be aware of the food you’re eating and how it makes you feel. Try slowly replacing certain staples in your diet, such as swapping white pasta for quinoa or vegetable oil for coconut oil. Remember, building healthy habits into your routine is not an all-or-nothing process. It doesn’t matter if you indulge your sweet tooth or stay up super late every once in a while—in fact, this does not affect the process of habit-formation. Allow yourself to make mistakes and get back on track as quickly as possible. In the end, being forgiving is much more motivating than falling into a cycle of discouraging self-criticism. Creative Chakra can help you identify diets for your Ayurvedic constitution when you are ready to go the next step further in balancing hormones and detoxing. 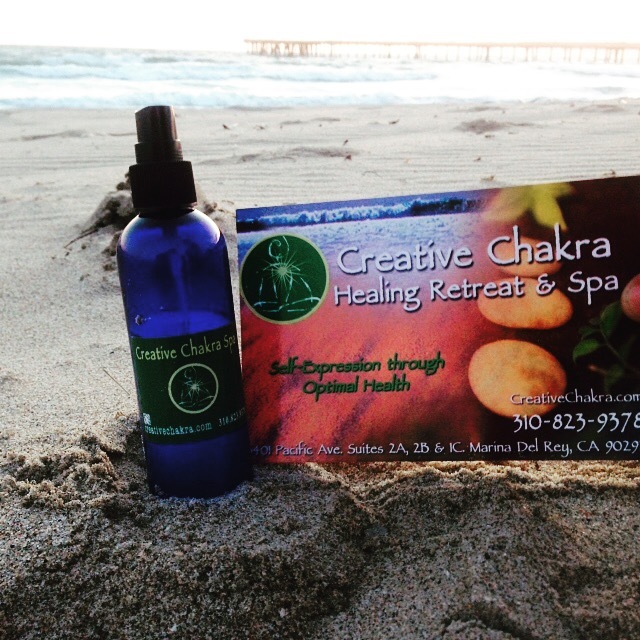 The Venice Fishing Pier is 3 tiny blocks from Creative Chakra Spa and is located at the end of the Venice Boardwalk.